In June 2011 GKN set up a joint venture with EVO-Electric, a UK pioneer in advanced electric drive solutions. The new business, called GKN EVO eDrive Systems, is manufacturing and selling drive systems and electric machines based on axial flux motor technology for use in hybrid and all-electric vehicles. Dynamatic’s Swindon plant has built up a wealth of experience with fan drive applications for vehicles and machines operating both on and off the highway. This has been achieved by providing system solutions which integrate market leading hydraulic pumps and motors. Thanks to Nexteer’s advanced, high availability systems – our steering safety net is ALWAYS ON. We are the manufacturer of Hydraulic drive system. Owing to the rich industrial experience and expertise in this business, we are engaged in providing Hydraulic Drive System. Our qualitative collection of bogie drive is specially fabricated by our team to make them high in performance, durable and sturdy. We undertake customized orders of our clients to cater to their specific requirements of bogie drives. Polymer pulleys and V-belt with square stainless steel shaft and sealed-for-life ball bearings in the Drive System ensure silent running and long life. The drive system for Wind World's wind energy converters is based on a simple principle: Fewer rotating components reduce mechanical stress, and at the same time increase the technical service life of the equipment. 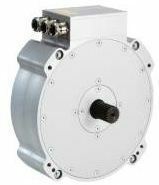 Concentric hydraulic fan drive systems offer significant advantages to cooling system designers when compared to traditional belt and electric fan drives. These advantages include fan speed independent of engine speed, precise control of coolant temperature, on-demand cooling to eliminate excess power consumption, reduced noise and reduced emissions. The L 311 reV2 turbo transmission has been specially developed for track laying and special vehicles as well as small locomotives with a maximum speed of 120 km/h and a transmission input power of 300 to 650 kW. Up to eight power takeoffs (PTOs) available. Performance at the highest level.